No matter what stage of your career you’re in, there are financial decisions around every corner. During the 10th Annual Financial Wellness Conference, we’ll be hosting workshops and events focused on what you can do now to better secure your financial future. From basic budgeting to maximizing your investment strategy; taking advantage of employer benefits to retirement income withdrawal strategies; no matter where you’re at in your financial life cycle, we’ll have something for you! Workshops are still being scheduled, sign up to receive email reminders and invitations to this year’s conference events, or check back here for updates. 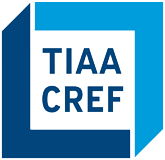 Meet individually with financial consultants from TIAA-CREF, Fidelity Investments and The Vanguard Group. Financial counselors from these highly respected financial companies will be available to meet with you to answer your financial questions on the dates listed below. All one-on-one sessions will be held in the North Gatehouse, unless otherwise noted. These popular sessions fill up quickly so be sure to use the contact information listed below to secure your space today. 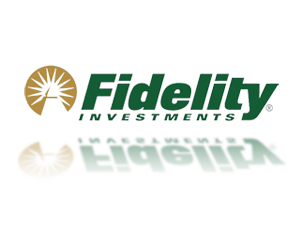 These financial consultants can help you…..
As part of their strategy to minimize administrative costs, Vanguard only makes quarterly visits to campus. Schedule a teleconference with a Vanguard representative to help accommodate your schedule (Se habla español). To make an appointment please visit the Vanguard reservation website. Workshops are still being scheduled, sign up to receive email reminders and updates! Do you find yourself worrying about the ‘how to’s’ of retiring from Georgetown University? If you answered yes, we invite you to put your mind at ease by joining the Office of Faculty and Staff Benefits for its newly developed Retirement Orientation. This new program is designed to provide you with an informative, practical and thoughtful orientation on how to navigate the retirement process at Georgetown. Not sure if you are eligible to retire? Click here to find out! Your money shouldn’t be sitting around doing nothing, and at this workshop – you won’t be either. Our goal is to help give you an idea of where you are, figure out where you want to be, and of course, how you are going to get there. Get ready for a new journey. Getting to this point is quite a feat. But the journey isn’t over until you’ve reached the peak. There are more adventures yet to come. Once you reach retirement, you may have 20 or 30 years to enjoy it. How do you know when you can retire? Find out what your future in retirement might look like with this valuable workshop from Vanguard. You’ll learn how much you should be saving, how social security payments coordinate with other retirement income, and practical solutions to get your retirement savings back on track. Looking for information on the 2014 Financial Education Conference? Find it here.